A good control over your buoyancy is what makes the difference! Experience the adrenaline of going night diving! 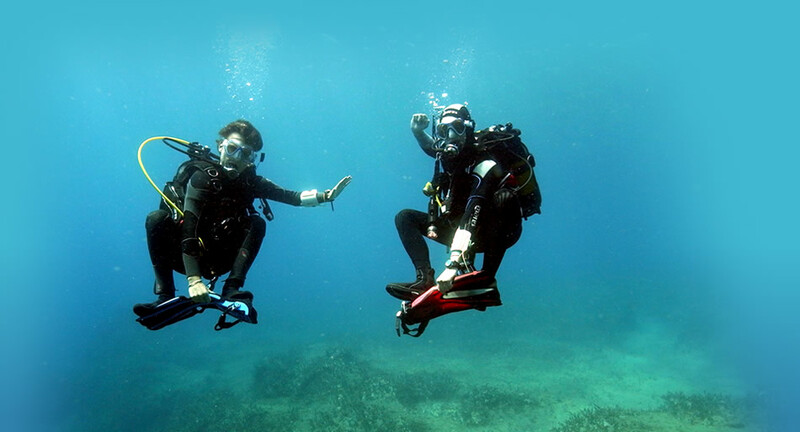 Children between 12 and 15 years old will get a Junior Advanced Open Water Diver certificate. This certificate allows them to dive with a adult certified diver to a maximum depth of 21 metres. This is also their maximum depth during the course. The PADI Junior Advanced Open Water Diver certificate will change automatically to a PADI Advanced Open Water Diver certificate when the child becomes 15 years old. The PADI Night Adventure Dive is your gateway to experiencing another world underwater! Join our weekly night dive and you will see why it is so fascinating! In the Advanced Open Water Diver it is mainly about practice, the theory is needed to support improving your practical skills. To finish the PADI Advanced Open Water Diver course your have to do the PADI Deep Adventure Dive and the PADI Underwater Navigation Adventure Dive. Which other three adventure dives you make is up to you. Go to the PADI Adventures and Specialties page to see what you can choose from.